Self-adhesive. 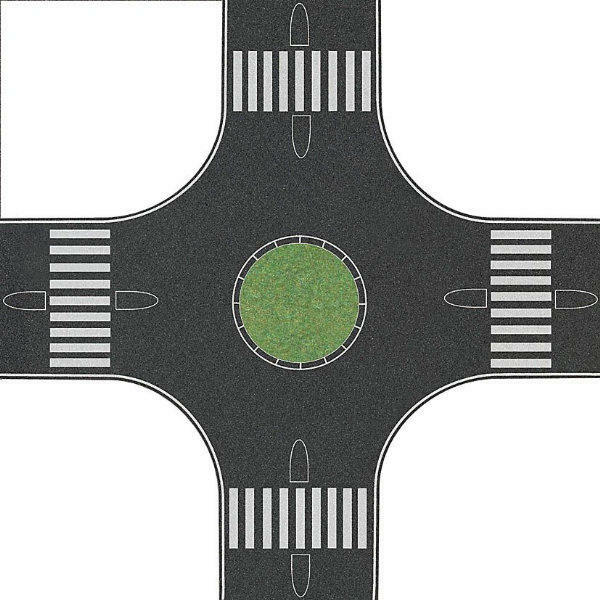 Same color and material structure as the asphalt roads. With grass area for the inner circle. For 80 mm wide roads. 300 x 300 mm.